No matter what you call it, a bonus area, multipurpose room, or flex space, this area is the perfect place for an interior merchandiser to illustrate to a potential buyer different options on how to maximize a home’s square footage. But what exactly does a flex space need? How can you design it to be fully functional and appeal to potential home buyers? The following are four design ideas to create a fabulous flex space. Create an open, airy environment by taking full advantage of natural light. Home owners want a private escape to watch the big game, dive into a book, or possibly create crafts. As a result, features such as large windows or sliding glass doors produce a bright and refreshing flex room they’ll want to use. With multiple functions, comes multiple amounts of “stuff.” Since a majority of these rooms have a slightly smaller square footage, flex areas must embrace smart storage solutions. Options that keep clutter clear and the space spotless. Built-ins, as well as custom cabinetry, are inventive ways to achieve storage needs. It’s important to highlight how a flex space can address a variety of purposes. For example, with creative design and thoughtful merchandising, you’ll be able to demonstrate multiple options. For example, include a swing out desk paired with a Murphy bed. 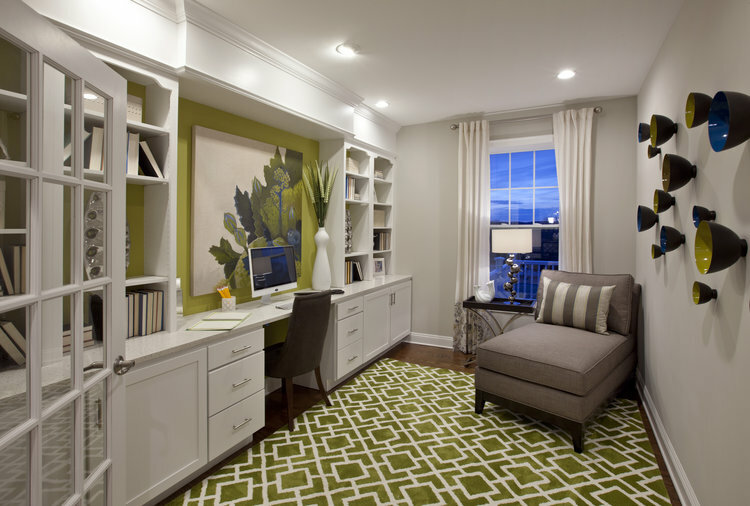 This will show that the room can be a stunning home study by day. And a gorgeous guest suite at night. Buyers crave the capability to customize. By planning and offering options to customize a flex space a home owner can truly design the room to meet their needs. Whether this is a game room, guest suite, or home office, you need to design it in a way that they can envision that dream. For more help on designing a fabulous flex space please contact us today. And, be sure to follow us on Facebook, LinkedIn, and Instagram for all kinds of creative interior and merchandising design ideas.